Pgamboa was a HUGE help for me in the process! i got rid of my tiny DL8 mirrors and slapped on some aftermarket tow mirrors. I used his DIY harness and it was a breeze to install! Instructions were very clear and pictures helped a TON! He is a great resource for the project! 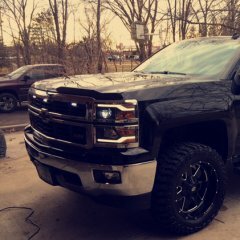 I also had to install the RZY harness as I have a 2014. my truck was wired for turn signals already but not the running/clearance lights or cargo lights. If anyone is going to attempt the RZY harness install i recommend watching pgamboa's video and having the written instructions handy, it is a massive PITA to put in. Took me about 6 hours to install that alone! Start on the drivers side first as all the BCM connections are there, when that entire side is done you can put the BCM back before wiring the passenger side. I have these headlights and would love to know what all was involved with opening them up. Could you provide the steps you took to accomplish it? I am wondering if I open these up or retro fit my old halogen ones. Thanks! 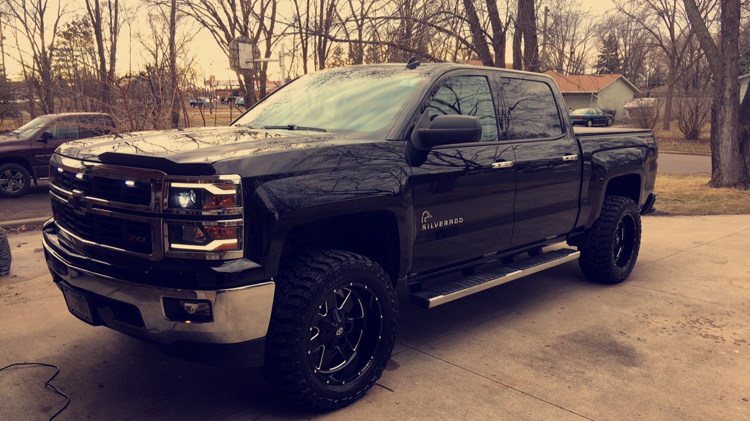 I have Borla S-Type on my '14 Silverado 5.3l, and it is perfect! It has just the right amount of growl when you step on it but quiets down when cruising down the road at highway speeds. I disabled the AFM in my truck so i can't say how bad the V4 drone is but i like it. Cold starts are awesome! I had a custom install and ran a y pipe after the muffler and went straight back with a slight turn down at the end.